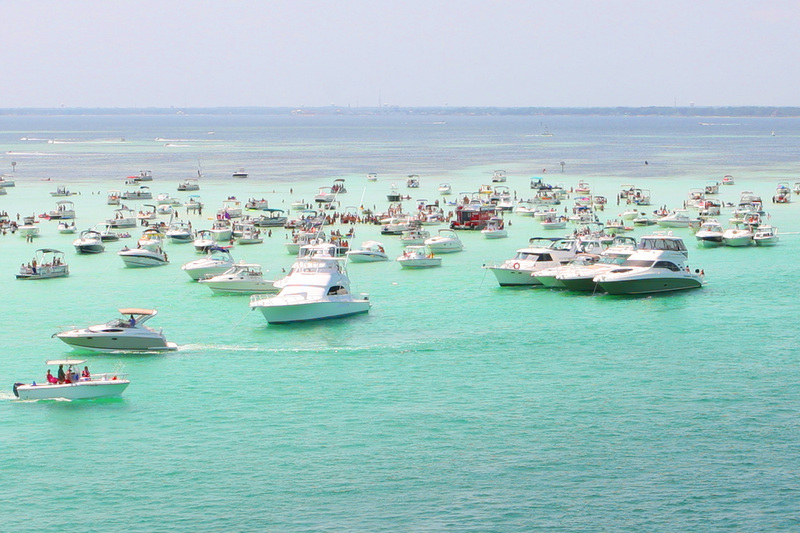 Crab Island is the favorite spot Destin boaters! Pilot your Pontoon Boat Rental to the other side of the bridge and SOAK IT UP! 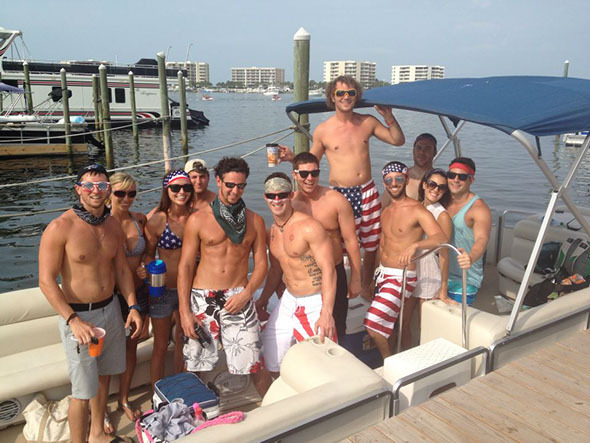 Since all of our Pontoon Boat Rentals include a FREE Stand-up Paddle board or Kayak, you will have the freedom to explore Crab Island sand bar and the surrounding Destin Beaches! 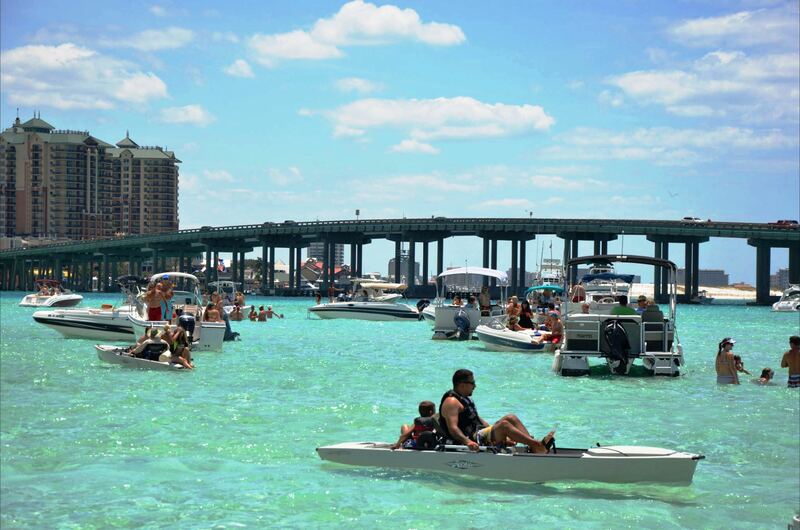 The warm protected waters are a top attraction in Destin and it's no wonder why! So what's all the fuss about? It's a giant sandbar just north of the Destin bridge. It's where the visitors and locals go to get away from the trials of land. 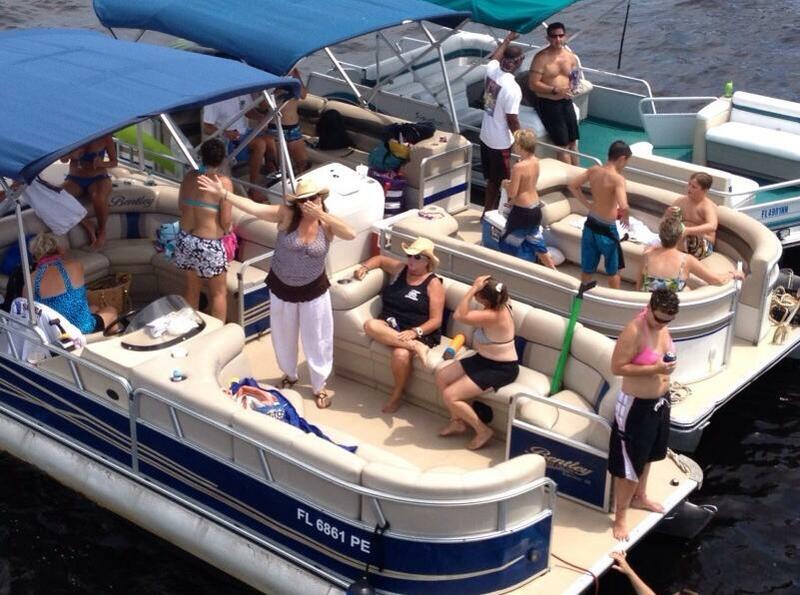 Remember, Crab Island is only reachable on a boat. You can drop anchor and paddle over to the grass flats and see all sorts of marine life. Make sure to bring your sun screen, and drink lots of water! You can find all sorts of activities around and even live bands performing!